Our core business is Board Level Electronics. 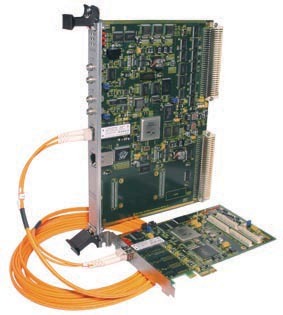 The combination of Field Programmable Gate arrays, state of the art broadband conversion products and integrated circuits from leading suppliers enable us to supply you with commercial off the shelf yet customizable solutions. Our product range covers high speed -high resolution- digitizers, interfaces and digital I/O boards. The second focus of activities lies on dedicated inline surface inspection and process monitoring for the rolling and canning industries. Our rugged inline systems will assist you in optimizing process and quality control in aluminium foil rolling, foil slitting/separating, roll grinding and can seaming. Our active VME interface line can be a good option to overcome obsolescense/discontinuation of hardware from other vendors in your application. Custom/application specific firmware design services and system integration are available.